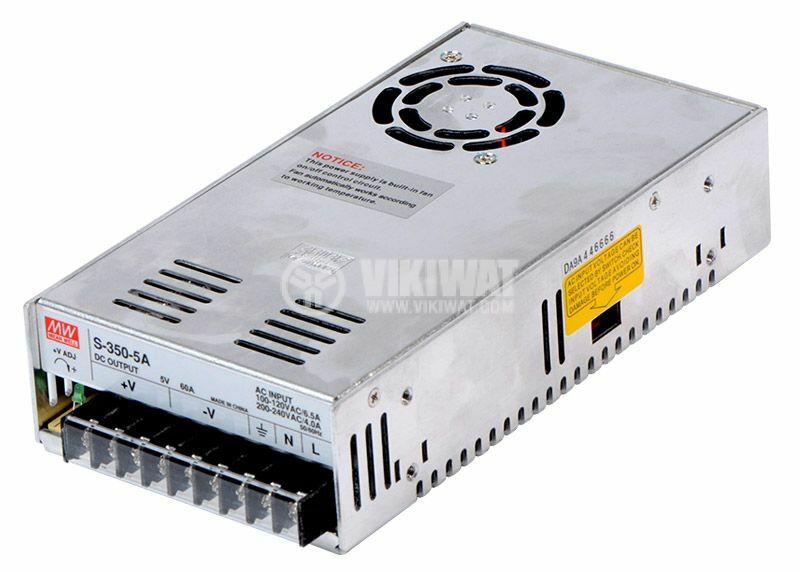 Power supply unit for general purpose applications with input voltage 110 / 230 VAC, outpuт voltage 5 VDC, output current 60 A and output power 300 W. Surge and overload protection. 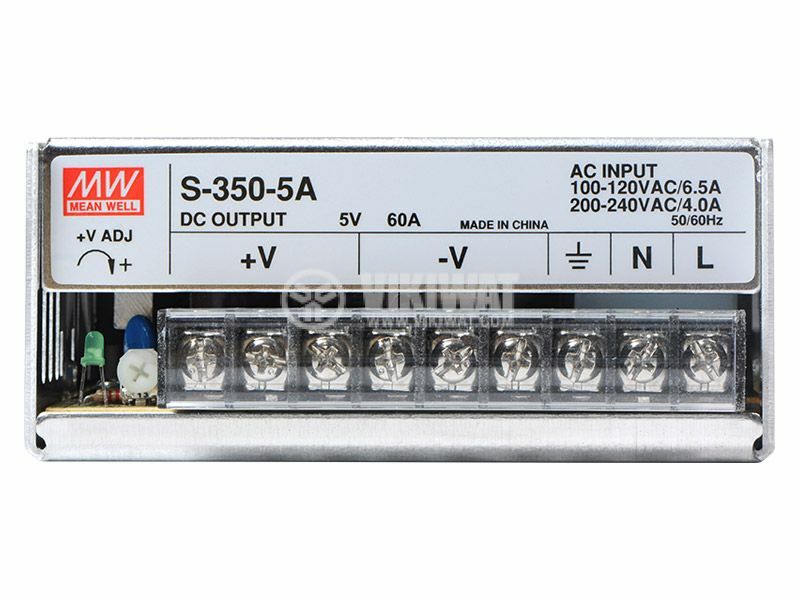 The input voltage (110 VAC or 230 VAC) is selected by switch. 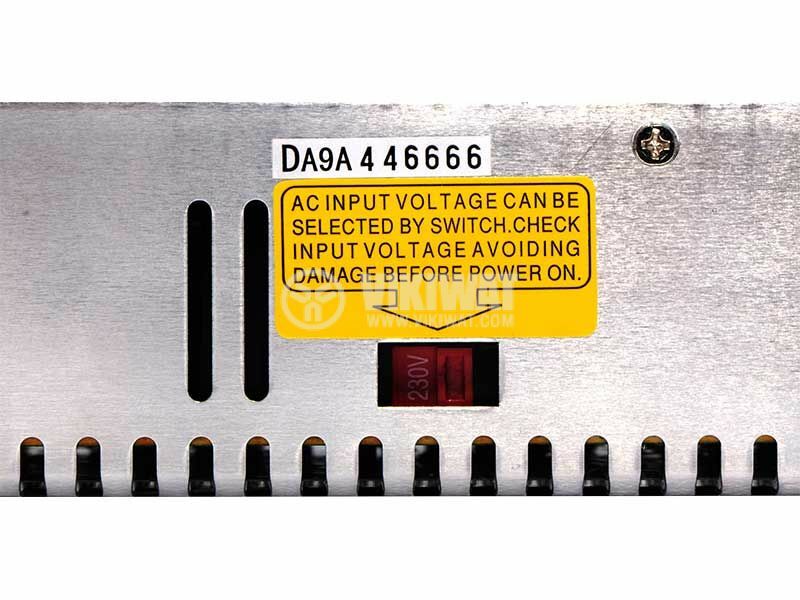 Pulse power supplies are widely used as power sources for electrical current and voltage in radioelectronics, communication and computing, medical equipment, automatic control of production processes, as well as in other areas of electronics. They build up and stabilize the voltage that an electric appliance is powered by, while at the same time setting and adjusting the current impulse. A great advantage of the pulse power units is their compact size, as well as the high efficiency - over 90%. body dimensions - 215 x 115 x 50 mm.